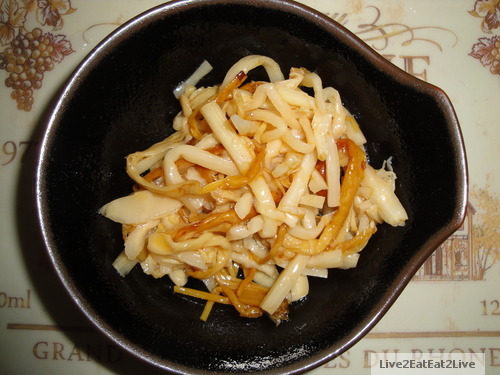 The last time The Cat went back to Shanghai, her sister-in-law (past and possibly future, it’s very complicated), gave her several packages of spicy preserved bamboo shoots and golden needle mushrooms (enoki). It seems like Chinese like preserved vegetables much like Korean kimchi. The difference I’ve seen though is that Chinese preserved vegetables often include oil in the spice mixture. I haven’t encountered any variety of kimchi that has oil in the preservation (I could be wrong). The Cat usually likes preserved spicy bamboo shoots that we buy in bottles. 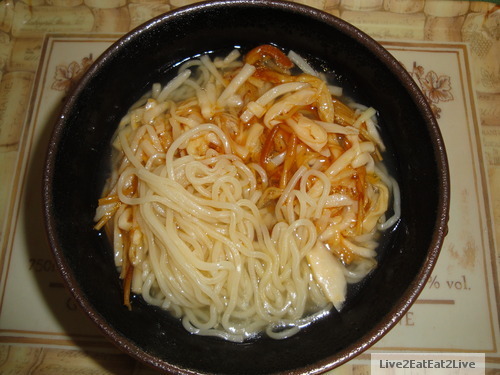 She usually eats it with soup style noodles or with pao fan (a type of zhou or jook). We rarely, if ever, use the “soup” packets that come with frozen noodles. 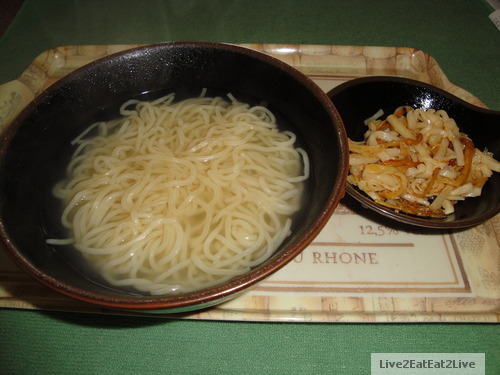 The preserved vegetables serves as vegetable and flavoring for the noodles. The addition of mushrooms to the bamboo shoots should be a winner. I boiled a package of noodles in plain water. 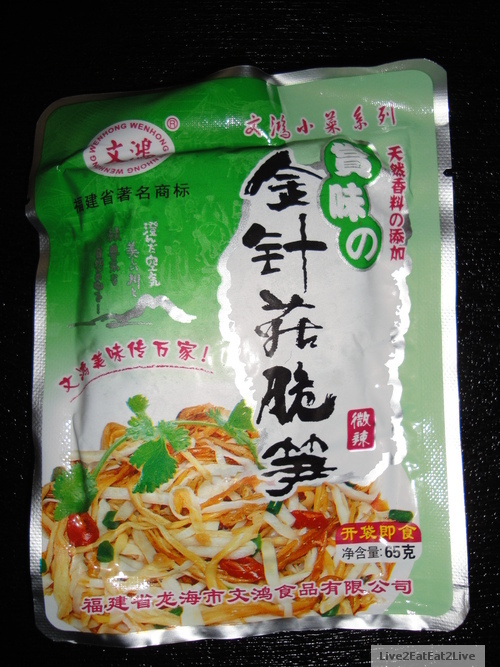 I added the package of preserved vegetables to the noodles. The bamboo shoots are still crunchy/crispy. The spiciness was about right for us. If you’re the type that likes really spicy food, the might be a little too tame. I added a pinch of salt to enhance the flavor just a bit more. All in all, very tasty, fast, and easy. Time to slurp. I’ve seen similar packages sold in stores in Chinatown.